The W124 was arguably last well built and reliable sedan to come from the mad scientists in Stuttgart with classy styling, interiors built to last, and simplicity in function that in future generations was replaced by a dizzying array of electronic gizmos that constantly fail. 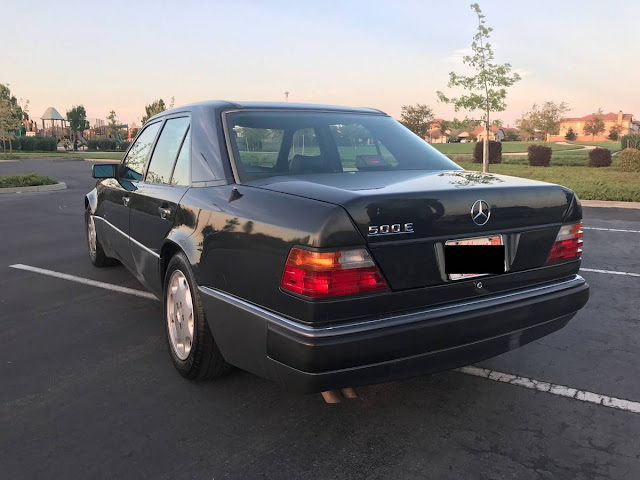 The basic W124 was a good fam/lux sedan, but the 500E version turned up the volume with a 5.0 liter DOHC M119 V8 putting out 325 horsepower into a 4 speed automatic transmission. The chassis tuning and suspension setup was done by Porsche so the car has a sporty feel to it and drives more like a sports car than luxury sedan. 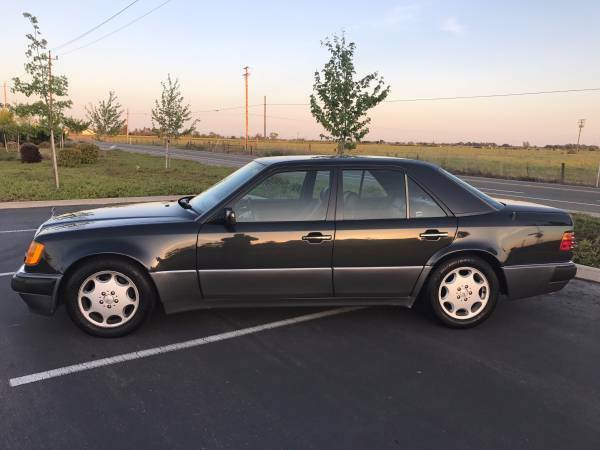 Find this 1993 Mercedes-Benz 500E offered for $17,500 in Sacramento, CA via craigslist. Reposting my ad with reduced price from $18.5k to $17,500! It's time to find a new home for my beloved 93 500E. 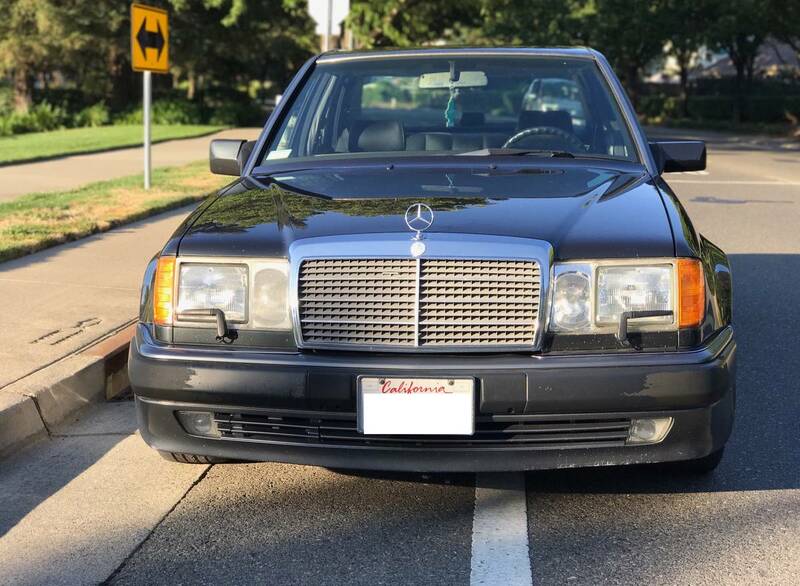 If you know about cars then I'm sure I dont have to praise how amazing and rare these 500E's are just hoping to find someone that will continue the care it has received its whole life. She holds a clean title, has 222k miles on it and been in California its whole life. Most of the miles were put on by the original owner who was a surgeon that commuted in it from mendocino county to santa rosa so lots of freeway miles and have lots of recent work done well over $8000 including new wire harness and transmission. The second owner was one of his patients who I pulled over on the road and got lucky to catch him on a day he was willing to part with the car. The elderly couple was surprised I knew what they were driving and I told him it was one of my dream cars growing up in Europe so long story short I became the 3rd owner. I've only put less then a couple thousands miles on it occasional weekend drives to the coast. It drives better then most newer cars I've owned which you can tell once you come see the car for yourself so dont let the miles fool you. The 5.0L v8 makes plenty of power and the handling for this big car is out of this world, definitely a drivers car. 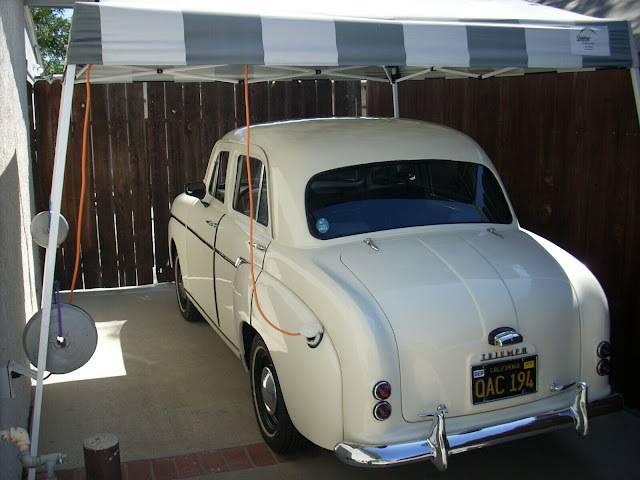 Always been kept in the garage and religiously maintained by all owners. Also have the original mercedes car cover which will come with the car and an integrated radar system. They just dont make cars like this anymore so come own a piece of automotive history 1 of 1500 made and far less in this condition today. Please call show contact info for any questions. I paid more but I'm asking $17,500 or best offer I'm motivated to sell it. Make me a fair offer and its yours I'm negotiable or if you have an e30 m3, porsche, nsx, tesla to trade of value do not hesitate to contact me. Looks impressive, but is that more than "all the money" for one of these? I feel like there should be a line graph with rare/collectable and price and it crosses at milage. Cool car for sure not sure on the price. Always hard to know, when the sample survey is so small. One sold at a dealer auction in Arizona last month. White car with 167K miles for $19,900. Its an emotional purchase. Right car, right buyer, right day $19,900. Same car, different buyers, $?? Ultra low miles 500e's are fetching 50k+. Parts cars are over 5-10k. Honestly, the amount of miles on these is almost irrelevant as the drivetrain is bomb proof. www.500eboard.com is the place for real info on these and other general w124 info. Maybif he advertised it as a Porsche?